I would like to introduce to you weekly livestream pro game series. Our main purpose is to create something like a league that not depends on players. 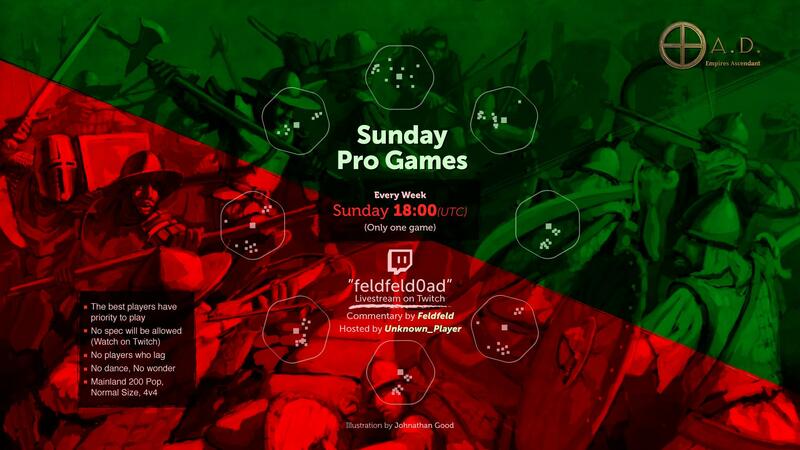 This is a weekly event contains only one game with commentary by feldfeld. The best players have priority to play. Teams will be organized by the host, unknown_player. This is currently a developing event organized by several players. We would like to invite you to play/watch/contribute to the event today at 18.00 (UTC). I would like to invite you to our weekly livestream event. 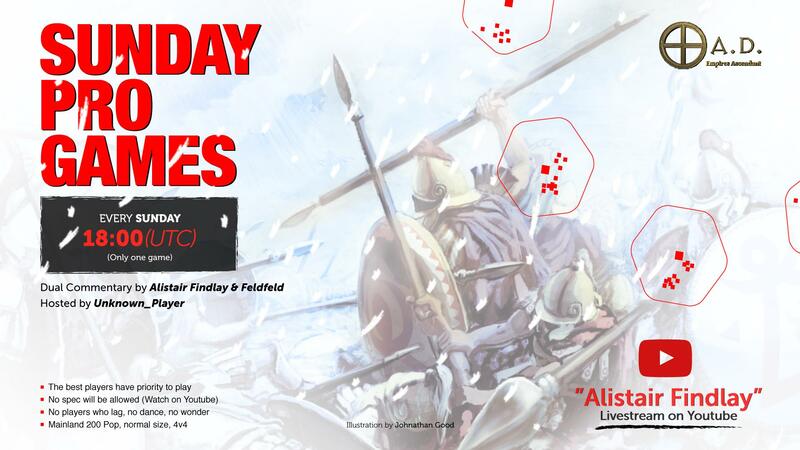 There will be a 4v4 match at 18.00 (UTC) on Sunday with dual-commentary by Alistair Findlay and Feldfeld (about 5-6 hours later after I post this announcement). If you want to convert UTC time zone to your time zone you can visit this website. Players who want to play should be in the room a little early. Players who want to spec/contribute should watch the event on Alistair Findlay's channel: Here is the link.